Serving the Greater Vancouver, Blaine, Bellingham and Ferndale communities. 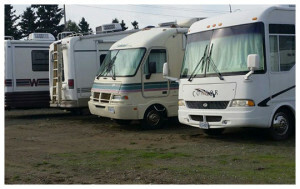 We provide the finest storage solutions for personal belongings, business documents, RV’s, boats and cars in the greater Ferndale and Canadian border area. At Safe Storage Solutions we are committed to providing you safe, affordable, and clean self storage with outstanding customer service. Our highly accessible Ferndale self storage facility offers drive up access to self storage units. All the units are monitored 24/7 with security cameras. Our professional management staff will be glad to assist you — we are here to help! Whether you are regularly bringing items into Greater Vancouver and need temporary storage, storing documents, securing your RV, moving into a new home, going away to college, or even just cleaning out the garage, Safe Storage Solutions is here to help you along the way.